Fashion is art when illustrious couturiere Guo Pei is at the needle — not to mention when the work is part of a traveling blockbuster gallery show. Each of the 40 pieces in the Vancouver Art Gallery’s first-ever fashion exhibition is as remarkable as the Guo Pei cape, constructed from 55 pounds of embroidered silk, that Rihanna wore to the Met Gala a few years ago. Vancouver Civic Theatres presents National Geographic Live, during which audiences meet Spinosaurus, the largest predatory dinosaur yet discovered — larger than T. Rex. | Image: Vancouver Civic Theatres. National Geographic Live, the live events division of National Geographic, comes to Vancouver for the first time. 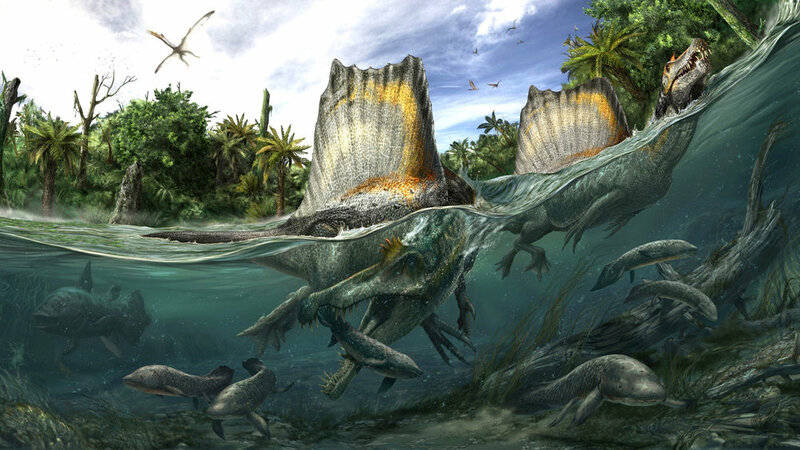 This presentation at the Orpheum Theatre features a stunningly illustrated talk by paleontologist Nizam Ibrahim, who discovered the Spinosaurus, a new species of flying reptile that lived 95 million years ago, with a wingspan the size of a bus. Fred Hollingsworth, Design for a Show House, c. 1960. | Image: West Vancouver Art Museum. Known as one of the founders of West Coast modernism, the late North Vancouver-based architect Fred Hollingsworth was a master craftsman who drew all his own plans. Many of those renderings, mainly of houses, but including buildings such as UBC’s Faculty of Law building, are displayed at West Vancouver Art Museum alongside drawings of furnishings and artworks. A disciple of Frank Lloyd Wright, one of Hollingsworth’s greatest legacies was creating homes for working people of modest means. November 11 marks the 100th anniversary of the end of the First World War, a conflict that caused 20 million deaths. In commemoration, Western Canada Theatre presents Governor General’s Award-winning playwright Vern Thiessen’s play, at Sagebrush Theatre. Vimy gives voice to the horror and complexities of fighting a war, as expressed by a small group of Canadian soldiers convalescing after the Battle of Vimy Ridge in 1917. The 90-voiced Vancouver Bach Choir performs two very different 20th century choral masterworks, within the gorgeous acoustics of St. Andrew’s-Wesley Church. The rarely-performed Duruflé Requiem is inspired by meditative Gregorian chant. Leonard Bernstein’s Chichester Psalms is rhythmic and eclectic and features outtakes from Westside Story and another lost musical set to Hebrew text. Daniel Martin and Lisa Cooke Ravensbergen star in A Brief History of Human Extinction. | Image: The Cultch. 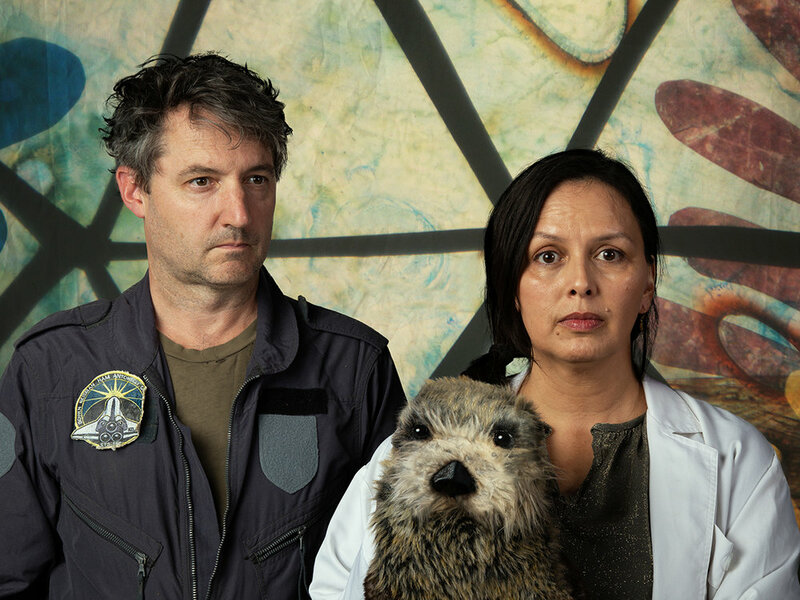 The last man, last woman, and last otter on the planet prepare to launch an ark that will carry their DNA to a new home, in playwright Jordan Hall’s comic sci-fi thriller, produced by Upintheair Theatre in collaboration with Mind of a Snail Puppet Co., at The Cultch.